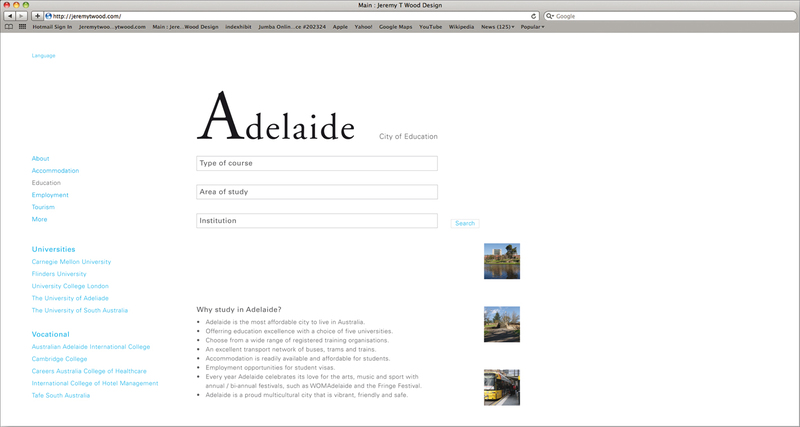 Project brief: international student website proposal. The idea: to simplify navigation and improve optimisation. 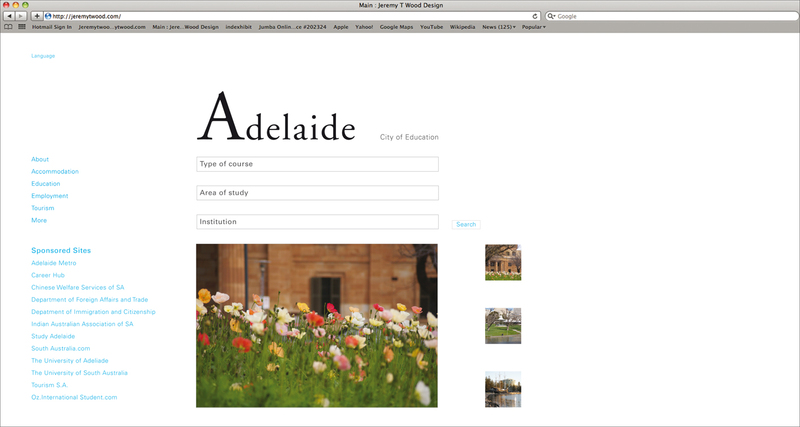 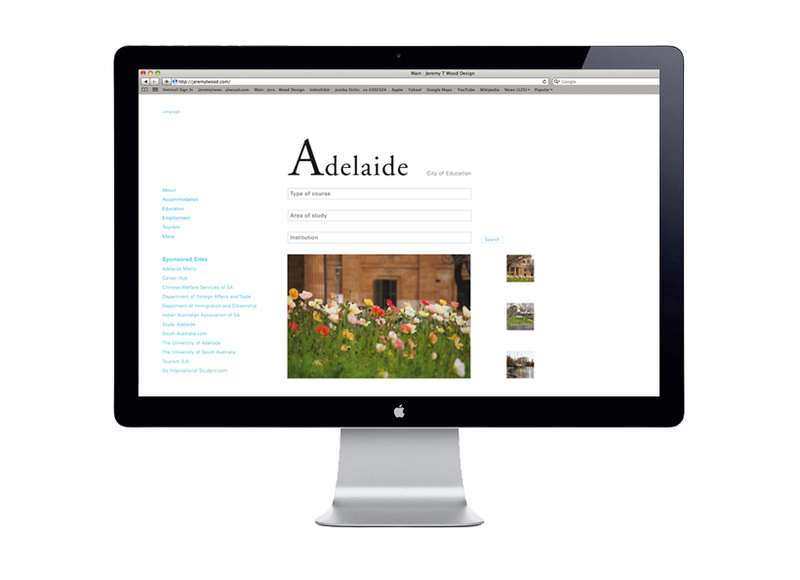 Images were shot in various locations around Adelaide to emphasise the tranquility and easy lifestyle when studying in the 'twenty minute city'.